This is 'some' children racing their way over, in and through a very expensive, hugely expensive and possibly mindbogglingly expensive work of art. The action is mostly off camera and focuses largely on me flapping my arms and shouting: "STOP DOING THAT, IT'S A HENRY MOORE." 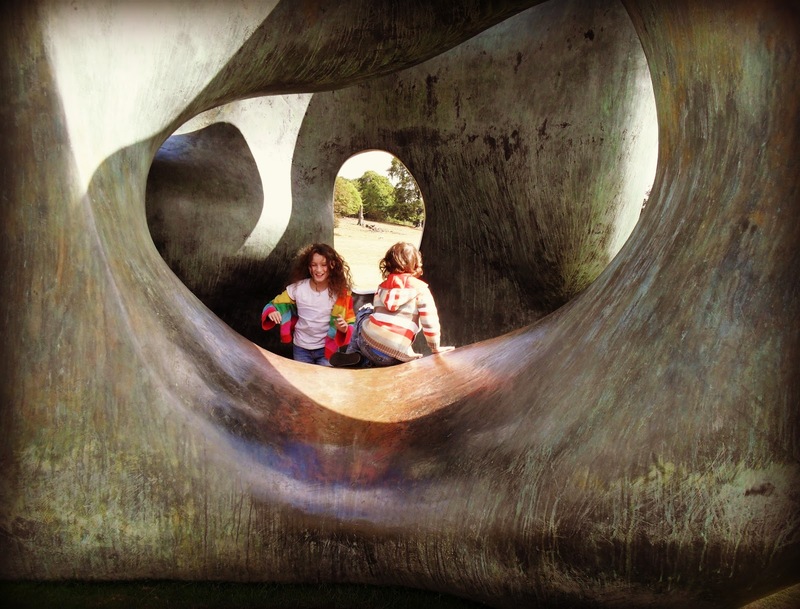 Disclaimer (if a particular sculpture park is reading this): They may not be my actual children *looks shifty* and no artworks were damaged in the making of this photograph. Ha ha! But art is supposed to be embraced and felt, even if it's with your shoes and bottom.